Don’t shoot the messenger – heed the message! The easiest thing to do is to react to people and what they have to say. If we heed the message, than focus on the messenger, we will surely benefit more. 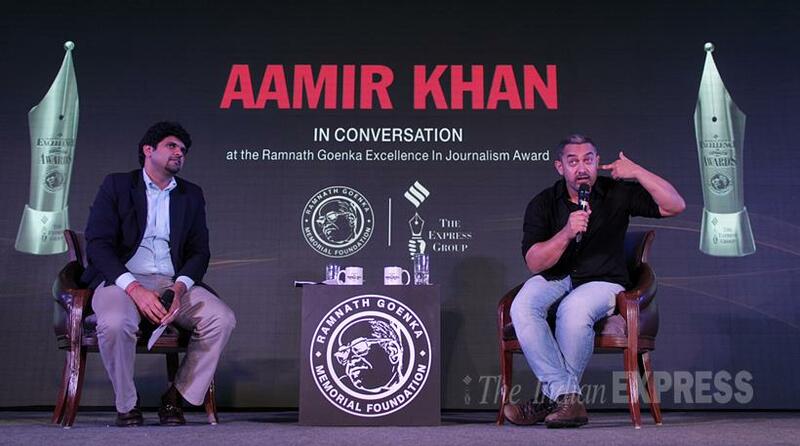 I listened to what actor Aamir Khan had to say about the much debated issue of rising intolerance in India. And I do believe he has spoken as a citizen who is genuinely concerned – much like any of us is. I don’t think anyone must evaluate what Aamir and Kiran are feeling, and what Aamir has shared, as what an Indian Muslim has to say. What is being said, the message, is clearly more important than who is saying it. This is not about the intolerance debate that rages on in India alone. This is about anything, in any context – the message is always more important than the messenger! Yet, ever so often “How dare you?” assumes more significance in your head over someone telling you something that you don’t want to hear, than what is being told to you. This “How dare you?” drowns reason and leads to inaction. Simply because your mind – the human mind thinks 60000 thoughts daily – is filled with negativity over who delivered the message to you. When your mind is agitated, obviously, clarity takes a backseat. To be sure, even Vaani and I have often, in recent times, thought about relocating from India at some time in the future. Of course, we have our bankruptcy to deal with and all our creditors to repay first before we even think of and for ourselves. The reason why we may even consider moving out of India, if at all we do in the future, is pretty much similar to what Kiran and Aamir may have shared among themselves. 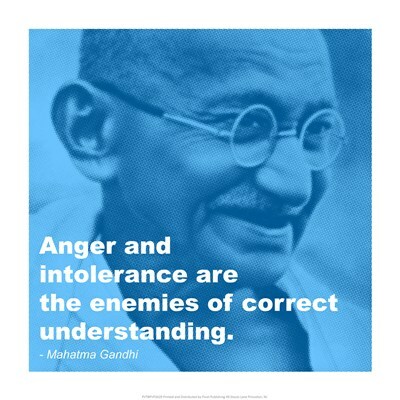 This beautiful country of ours is becoming more and more intolerant to not just religion but even to individual opinion. The way Aamir and Kiran are being trolled is evidence of this disturbing trend growing. People disagreeing with Aamir is fine – but so much hate, so much anger, this is totally unnecessary and avoidable. The truth is social media has given anyone who has an opinion (all of us have opinions, don’t we?) a pedestal – not just platform – to flaunt it. So people don’t really bother about what they have to say. They just want to be seen saying it – something, anything! This cacophony is harmless if it stayed purely at a noise level. The tragedy is that our government, our politicians and those who peddle religion, seize the opportunity and unfairly play up our diversity, pitting gullible masses against one another. If this trend continues and grows, as it threatens to, it will make India a sad, a very sad, place. But let me clarify that this change in perception and preference in Vaani and me is more recent. Over 20 years ago, I had turned down a job offer from a large American MNC. Simply because the offer involved migrating to the US. Vaani and I then wanted to stay back in India, we wanted to do something for our country, living and working from here. I am amazed that in two decades we have changed our view. And therein lies the crux of the issue – we are dealing with growing intolerance for individual opinion and sentiment in India. Period. Our constitutional right of freedom of expression stands challenged – and, sadly, in some cases, is stifled or even denied. Unless we recognize and internalize this message – instead of shooting the messenger(s) – we can’t bring about lasting, social change. Today is Guru Nanak’s (1469 ~ 1539) birthday. If he gave the world one unputdownable message, this is it: “I belong to no caste”. I hope a few of us, who, to begin with, share Nanak’s philosophy and outlook to Life, work to spread the message of harmony and co-existence. Even if we don’t agree with what someone has to say, let us stop reacting and, important, let is stop shooting the messenger(s)! Author AVIS ViswanathanPosted on November 25, 2015 March 14, 2016 Categories Art of Living, Fall Like A Rose Petal, Guru Nanak, http://schemas.google.com/blogger/2008/kind#post, Inner Peace, Intelligent Living, Intolerance, Kiran Rao, Ramnath Goenka Award, Westland Books1 Comment on Don’t shoot the messenger – heed the message!